Marvel's winter comics event also just became it's de facto spring and summer event as well. Following the recent news that the series was being bumped up to eight issues (as well as receiving a month's delay), now Diamond Comics Distributors has seemingly confirmed another wait for the end of Civil War II. According to the distributor's Previews site, Civil War II #6, previously due to release this month, has now been delayed to an October 26 release date — pushing back the remaining issues of the series by a month. This means that the eighth and final issue will now release 28 December 2016, almost two months after its originally solicited November 2 date. This isn't anything new for Marvel, even if it is disappointing. Last year's event, Secret Wars, was also heavily delayed, meaning the series that was meant to kick off the publisher's "All-New, All-Different" relaunch actually finished months after that relaunch had begun. 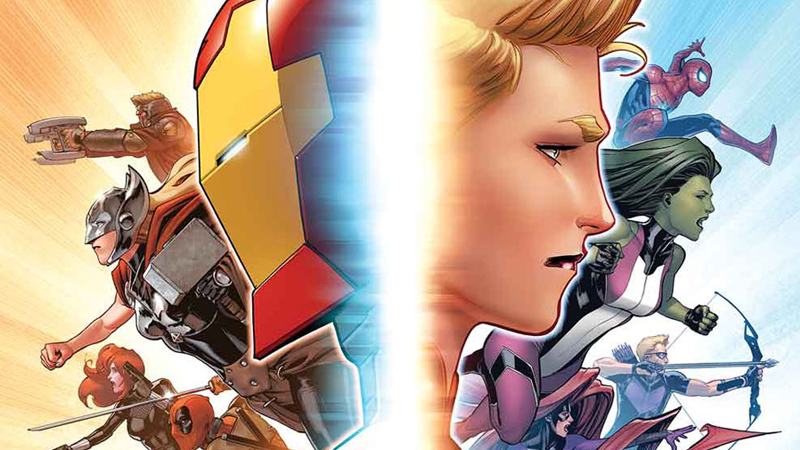 Now the same is going to be the case for Civil War II and "Marvel Now", which is set to kick off in November. We'll be seeing the ramifications of Carol and Tony's scrap in the comics before we even see how it all comes to an end, it seems.